The popular saying “Not all superheroes wear capes” has been floating around for decades. In reality, heroes don’t need to wear capes or have superpowers. They are just everyday people who do extraordinary things with exceptional hearts and attitudes. 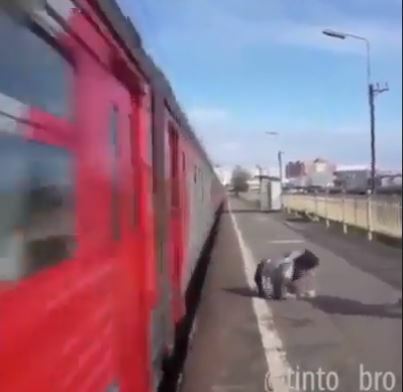 Take this man, for example, who became viral online after seemingly saving a baby in a stroller that fell down the train tracks. It is always good to know that people who are willing to risk their own lives for the sake of others still exist amidst crises and tragedies happening all around us. 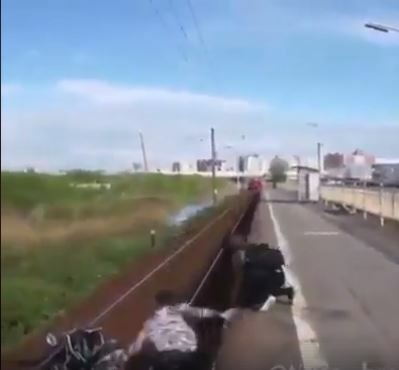 The video clip started off with the man going down the rail tracks because a stroller fell off and the woman nearby was clueless on what to do. Thanks to the man's alertness and adrenaline rush, he was able to get the stroller and himself back into the platform safely, just in time before the train passed them by. Miraculously, the guy managed to pull himself up on the platform just literally seconds away before the train passed. 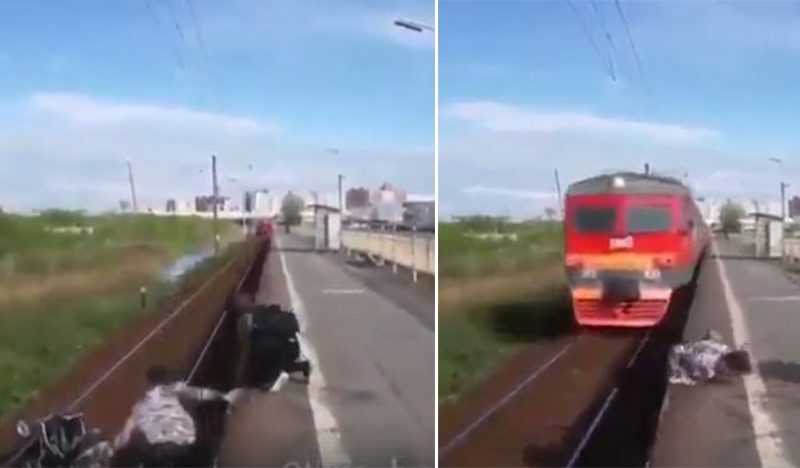 It was so unbelievable that the video even comprised a slow motion of the last few seconds showing how only a split second would have been a threat to the man's life. The anonymous guy earned praises from the netizens for his heroic action. However, some also couldn't help but be skeptical about the entire incident. 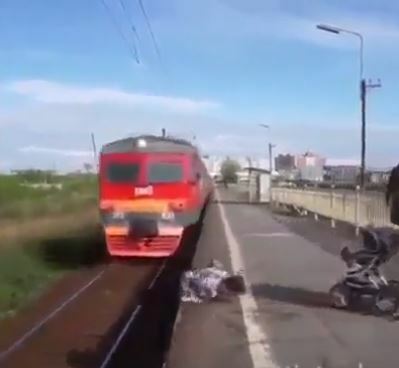 Several netizens emphasized that the most rational thing to do in the scenario was to get the stroller and remain on the other side of the railroad until the train passes by completely. "So great job and all... but am I the only one wondering why he didn't just take the stroller and take two steps left and hang out on the hill till the train passed then climb up??... why take the chance? Just stand clear then lift the stroller after," one netizen commented. Another netizen pointed out that the whole incident looked staged and even put up a link proving that the said video was indeed unreal. "I found several things odd with this video. First, the carriage was way further out than where it should be if it fell off the edge. Also, cutting the video short as he is missed by the train is odd. There's no showing the baby and mom or the normal crying and hugging that goes along with these heroics. This video turns out to be fake." What can you say about the heroic deed of this man? Share your thoughts and opinion with this article.